Award-winning, multi-solution, skin care device innovatively-designed with interchangeable treatment attachments, helps rejuvenate and improve your appearance. The NuFACE Trinity Toning Kit comes standard with the NuFACE Trinity Facial Trainer, a microcurrent treatment attachment FDA-cleared for facial stimulation to gently stimulate the larger surface areas of the face. Exercise sculpts and tones the body, microcurrent contours and tones the face. Like exercise, benefits are visible and long-lasting with continued use. NuFace is Fitness for Your Face, the easiest workout you’ll ever do! 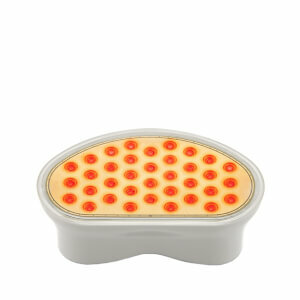 Skin Care is Your Nutrition + Microcurrent is Your Exercise. Why Microcurrent?As we age, our body’s natural current begins to slow down (like our metabolism) leading to sagging skin, loss of contour & wrinkles. 1. 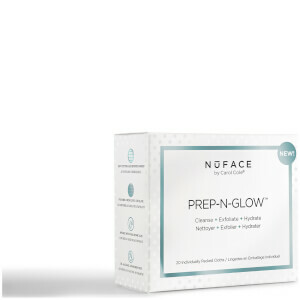 Prep: Cleanse skin and apply NuFACE Gel Primer. 2. 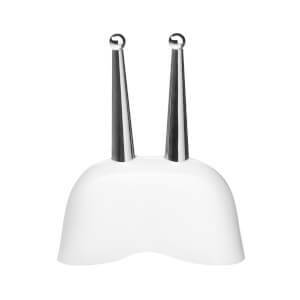 Lift: Glide the NuFACE Trinity Device over face as directed. 3. Finish: Remove NuFACE Gel Primer with a damp cloth.